MCALLEN, Texas — Spring breakers from across the country are flocking to South Texas for warmer weather. While some are enjoying their break, others are skipping beach parties and margaritas to volunteer at the Catholic Respite Center in McAllen, Texas. Roughly 300 immigrant families from across the globe arrive to the center daily after being released by immigration officers. Madeline Respelier, Steven Benson and Morgan Ward were going through piles of clothes for migrants headed north. “The message of helping people just really drove me down here,” said Ward. 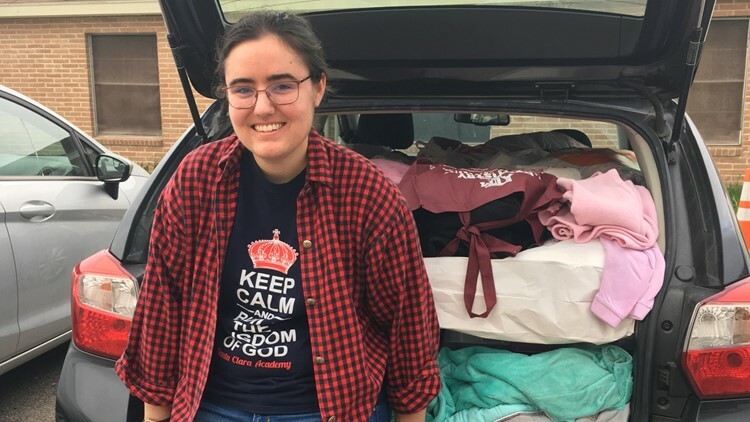 The 21-year-old La Roche student traveled from Pittsburgh, Pennsylvania with a college ministry group of 10 other students and two professors. It’s her second time giving up her spring break to help others, and her first time doing so at the border. 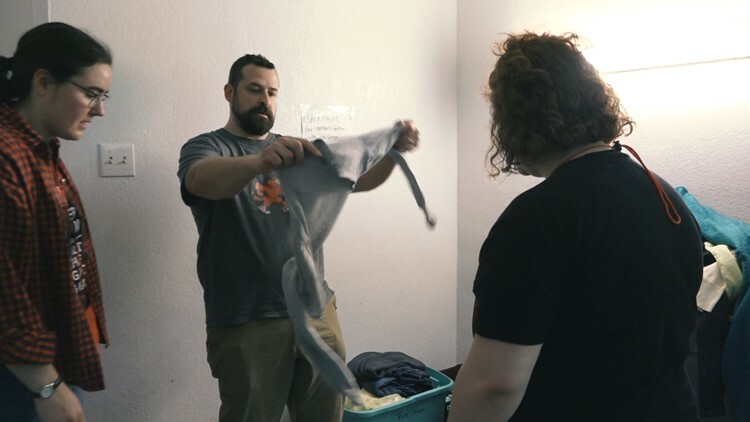 It’s a revolving door of volunteers every spring break at the respite center, with dozens of groups from different denominations coming to help since the center opened its doors to migrants five years ago. The experience is what Benson wants for his La Roche students, each one of whom had to pay $200 out of their own pocket to participate. “Being there to serve the community but also being open to learn from the people coming across as well,” he said. They're helping people like 17-year-old Elvis Herrera and his mother Rosario, who fled El Salvador two weeks ago leaving their family and home behind. 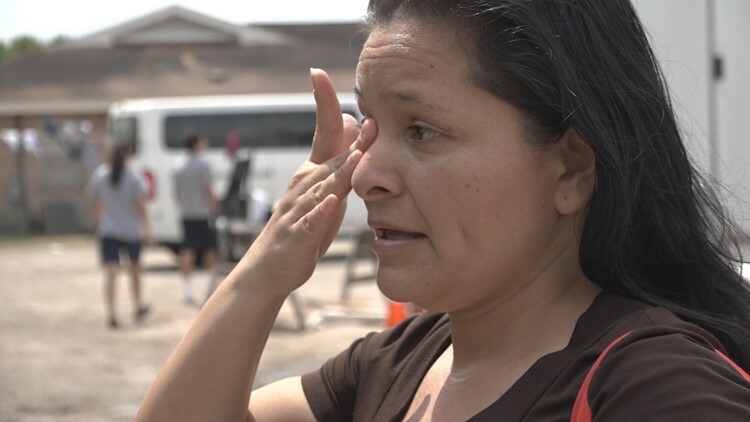 Rosario told the KENS 5 Border Team she’s grateful to have been welcomed by the volunteers, who provided her with a change of clothes and a bag of supplies. Respelier drove some of those supplies to the center from Dallas. Those supplies included donations the Santa Clara of Assisi Catholic school teacher collected from students and parents. It’s a version of spring break that volunteers at the respite center wouldn’t have any other way.